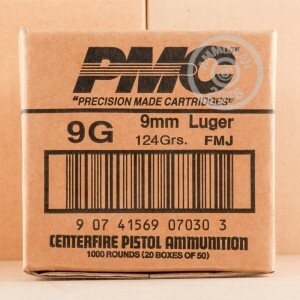 For an unbeatable value at the range, grab this case of 1,000 cartridges in 9mm Luger from PMC's economical Bronze series. 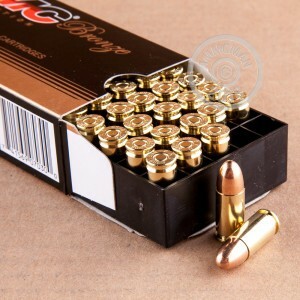 Each cartridge fires a medium-weight 124 grain bullet at about 1,119 feet per second out of the muzzle, delivering ballistics comparable to those of many popular 9mm Parabellum defense loads. 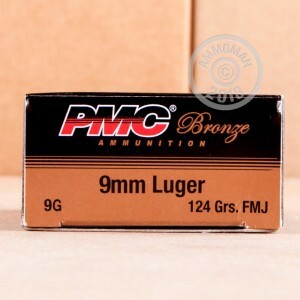 This ammo uses non-corrosive Boxer primers and brass cases as well as a standard pressure powder charge ideal for use in popular compact carry pistols such as the Glock 26, SIG P938, S&W M&P Shield and Ruger LC9. These cartridges are loaded in South Korea by a major defense contractor using internally sourced components and rigorous quality control methods. They have become one of the top choices for target practice in the US thanks to their strong combination of reliability and low cost. Buy this case at AmmoMan.com to push that cost down even further with FREE shipping! 9mm 1911 style pistols shoot this well. Cheap, relatively clean, very reliable. I'll definitely be buying more. Shot 250 round this morning through my P226 legion and it fired flawlessly . Great round and will buy more in the future. I shoot about 8k rounds of this a year, its my absolute favorite 9mm practice round.